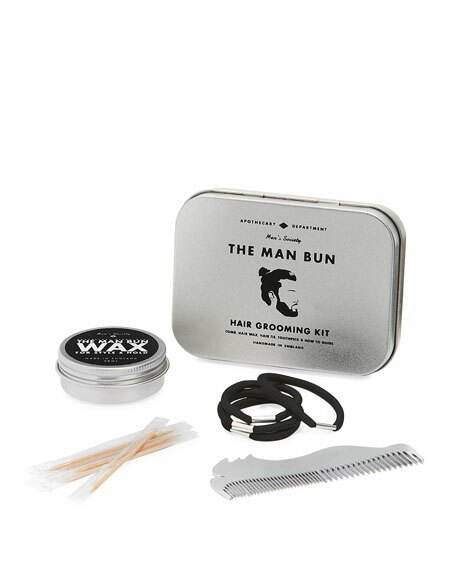 Keep a long-haired gentleman looking stylish and slick with this deluxe male grooming kit. Hair Wax. 50 mL / 1.69 fl. oz. 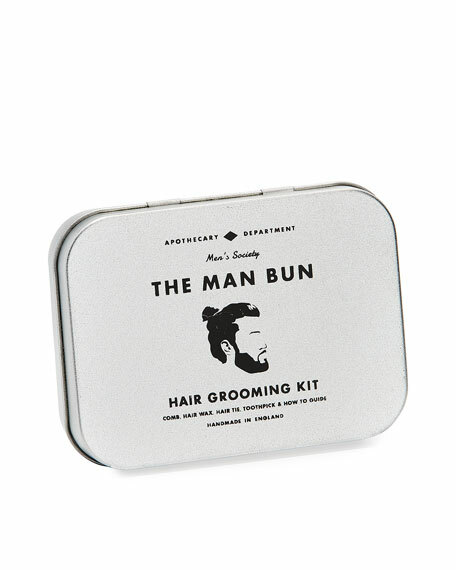 Perfect for styling your man bun. Scratch some off with the back of your nail, warm between your fingers and apply a smidgen to your man bun for extra hold and style. Perfect for grooming and de-tangling the follicles. To hold your style once you perfect it. To help you achieve a sharp look. For in-store inquiries, use sku #2359089.